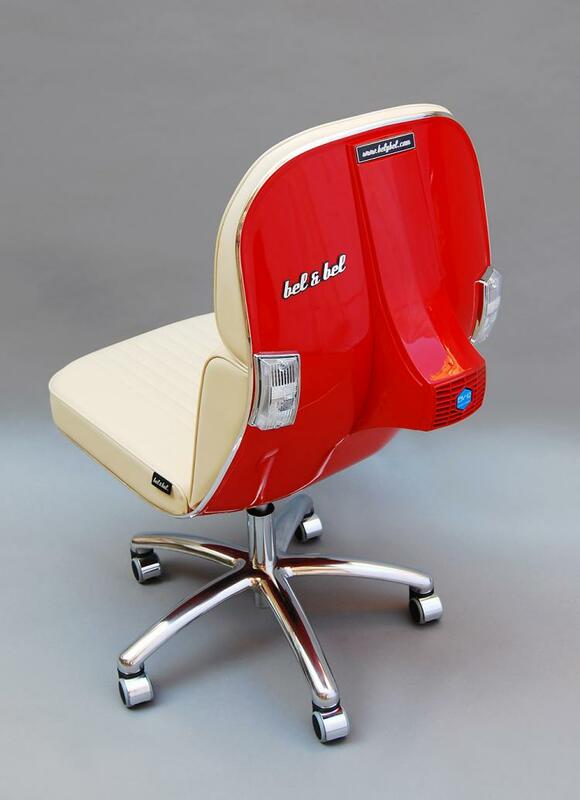 These Vespa chairs are made from recycled parts from old 1980's Italian scooters. 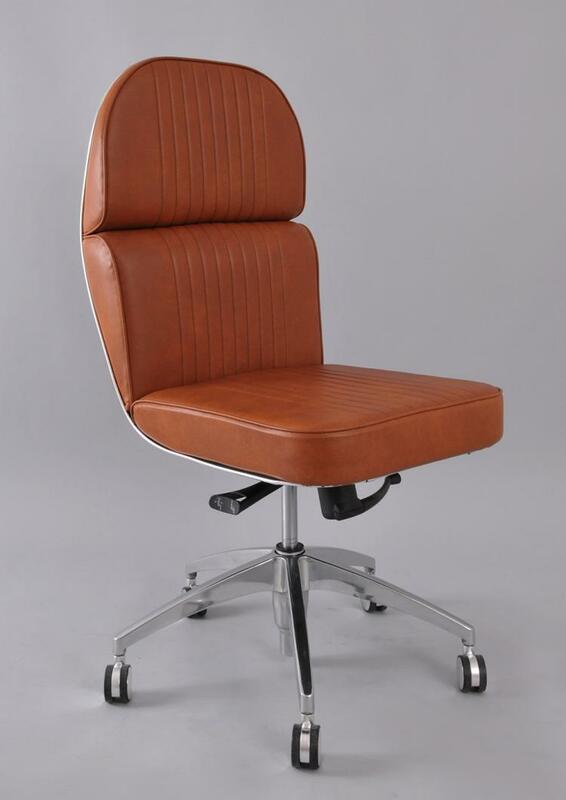 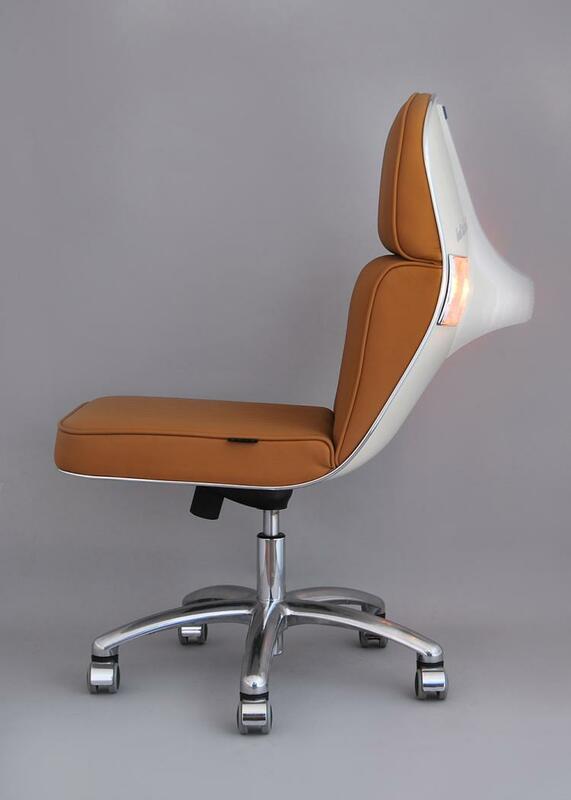 The modern chair takes the chassis from an old Vespa and attaches it to the back of the chair and gives an amazing mixture of modern and retro design. 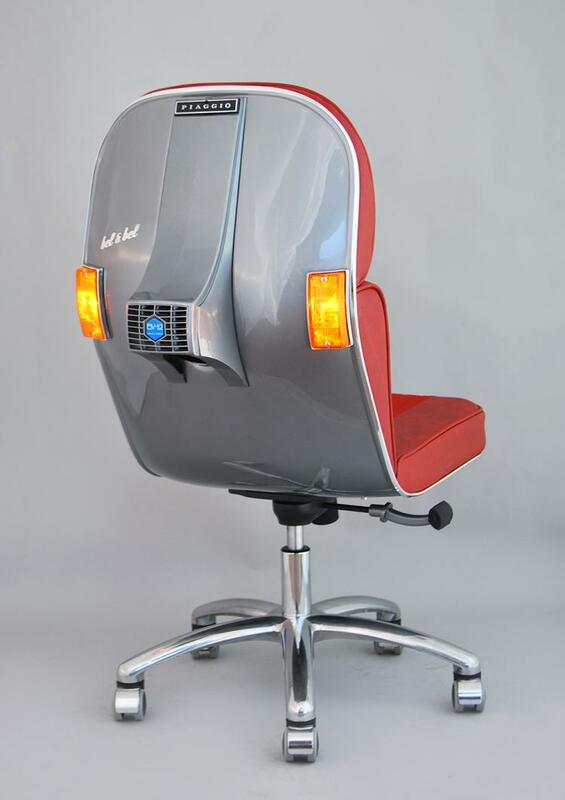 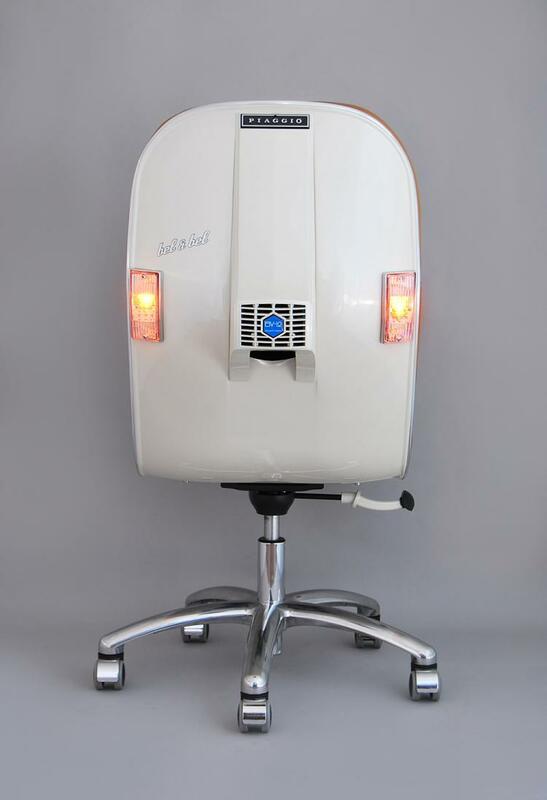 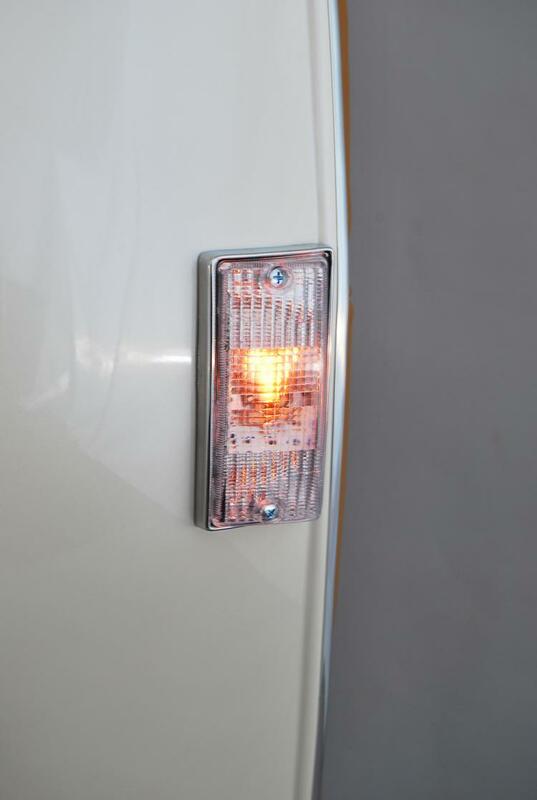 The rear of the chair features the scooters taillights which actually light up, a venting fan that protrudes out from the center of the chair, along with a Fiaggio logo at the top and center of the chair. 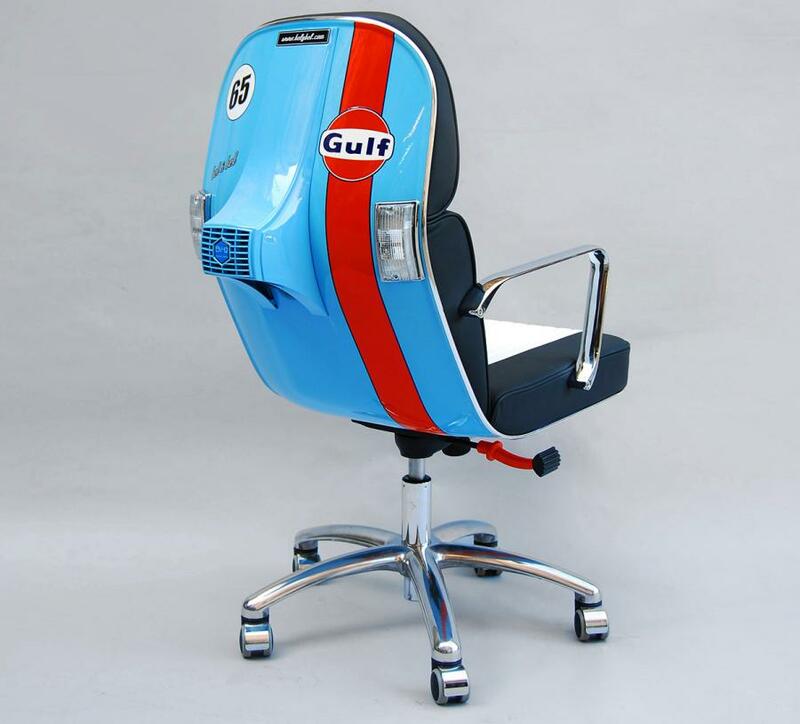 Whatever color and design the scooter originally had stays on the chair along with any racing stripes or other designs it might have originally had on it. 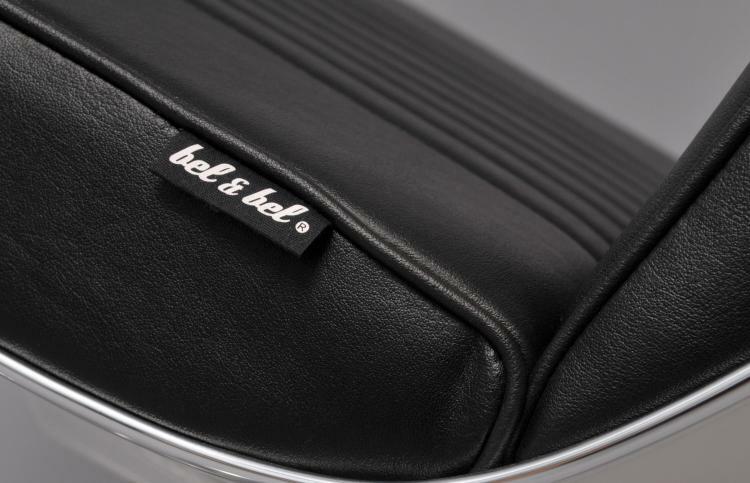 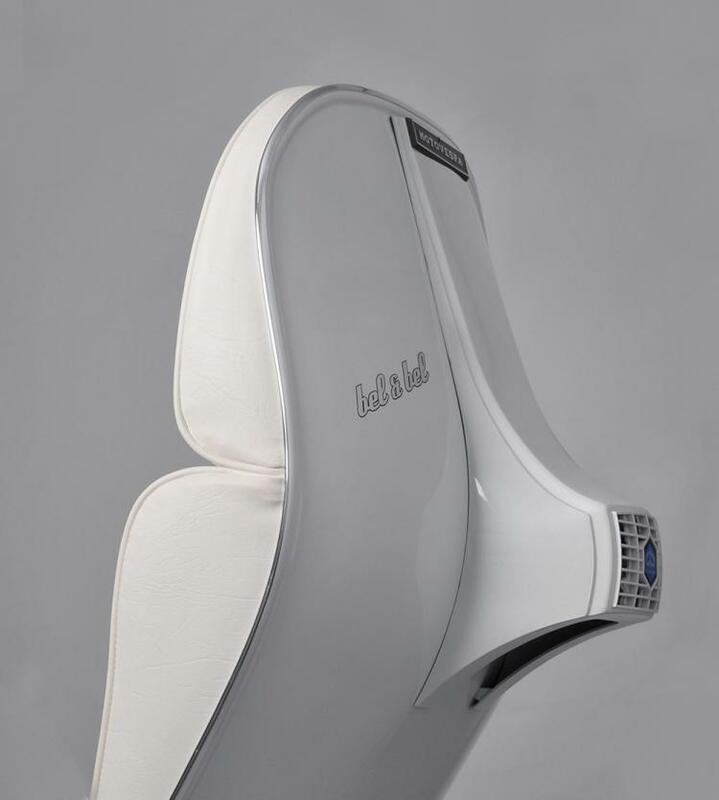 Created and sold by Bel & Bel, a Spain based company that focuses on recycling old material and making a quality, functional, and modern product out of it, the scooter chair is manufactured, customized, and handmade by Bel & Bel, and even comes with a certificate of authenticity. 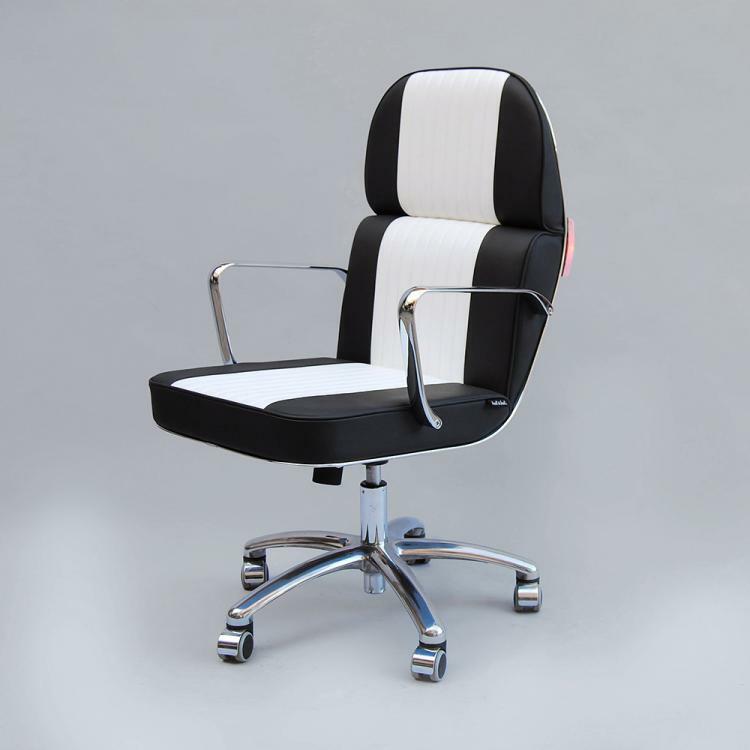 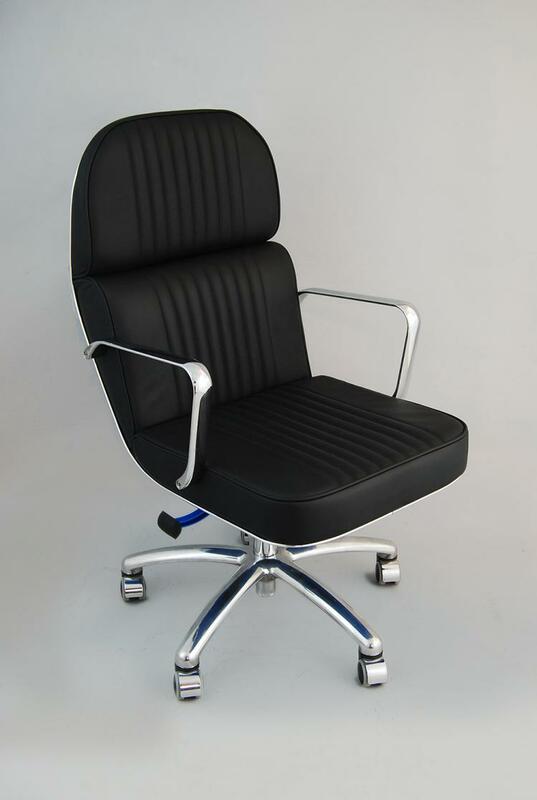 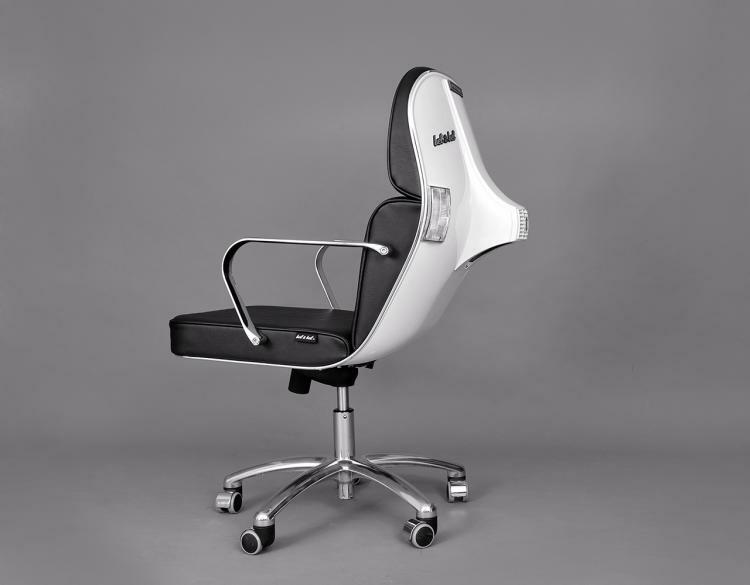 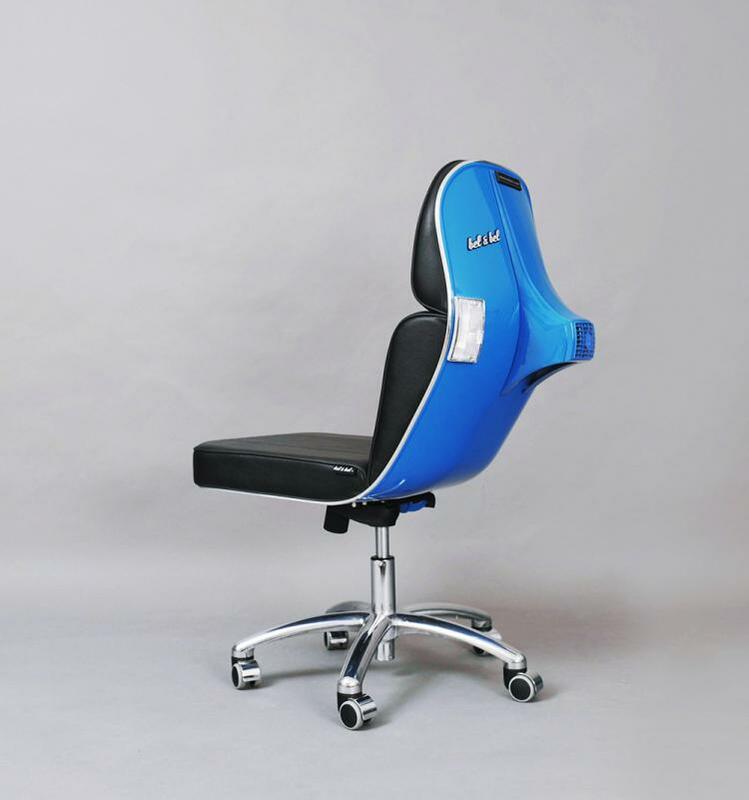 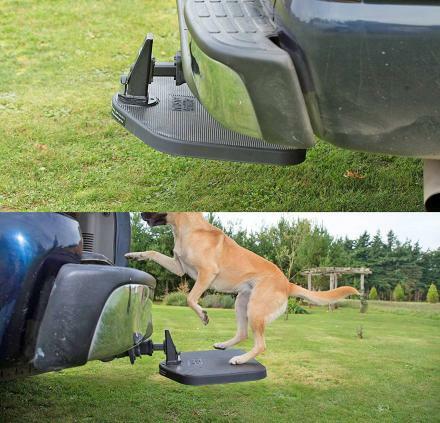 The scooter chair has a reclining feature, a reinforced internal structure, and a hydraulic piston so you can easily adjust the height to your needs. 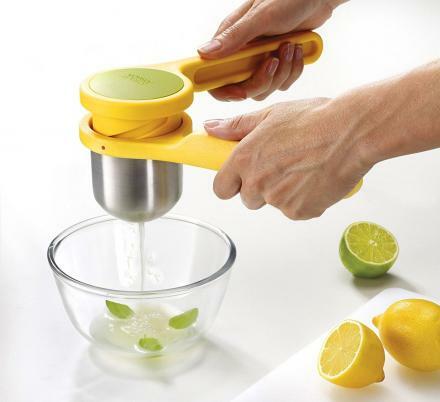 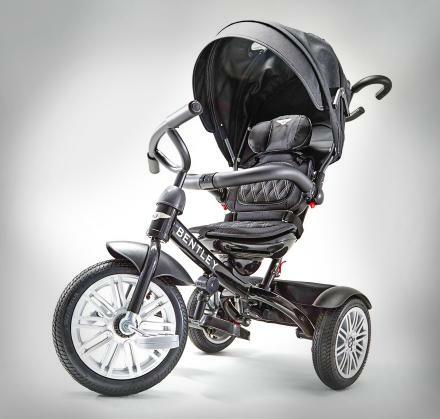 The scooter is made from imitation leather, has soft tread silent wheels, and is extremely comfortable and ergonomic. 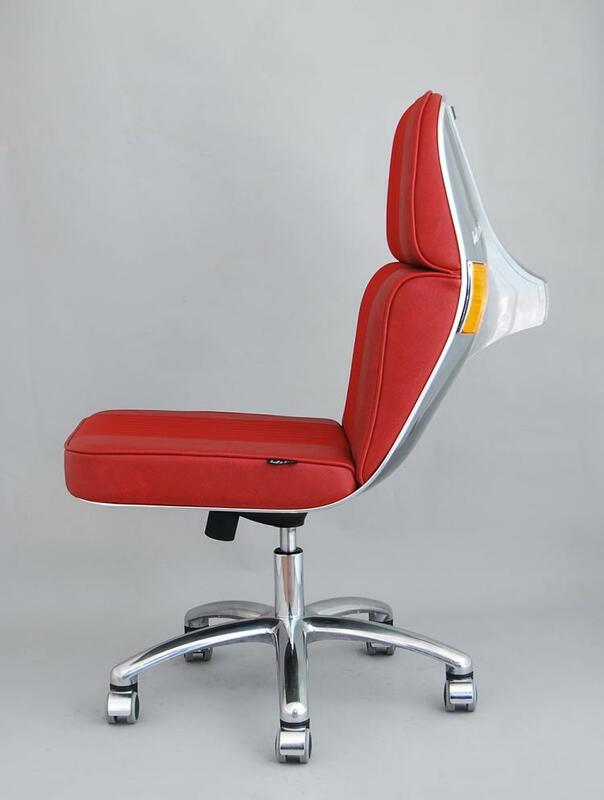 Plus the scooter chair can be customized with a wide variety of extras witch are optional. 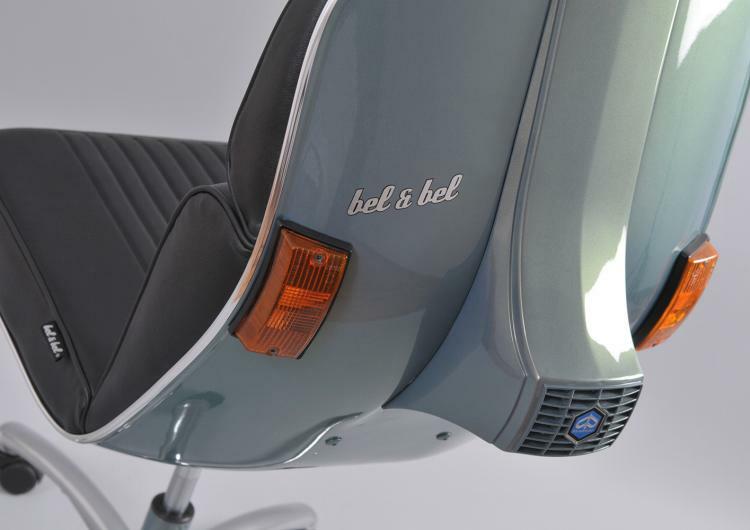 A perfect gift idea for any classic Vespa lover, the scooter chair weighs 44 lbs, and measures 47.2 inches tall x 23.6 inches wide x 27.5 inches deep.